Wow so there's just been a huge power cut in my town. Literally everything was pitch black, and lots of people were locked inside shops because obviously the automatic doors stopped working. The only light was the Christmas lights in the centre of town and the odd shop (some had back up generators) so me and my friend took the opportunity to get some pictures. This is a bit of a random post but it looked so cool so I thought I'd share it with you guys! So the top left picture is the view from my window. You can see the only source of light is from the headlights from the cars. The next few pictures are of the Christmas lights in town. 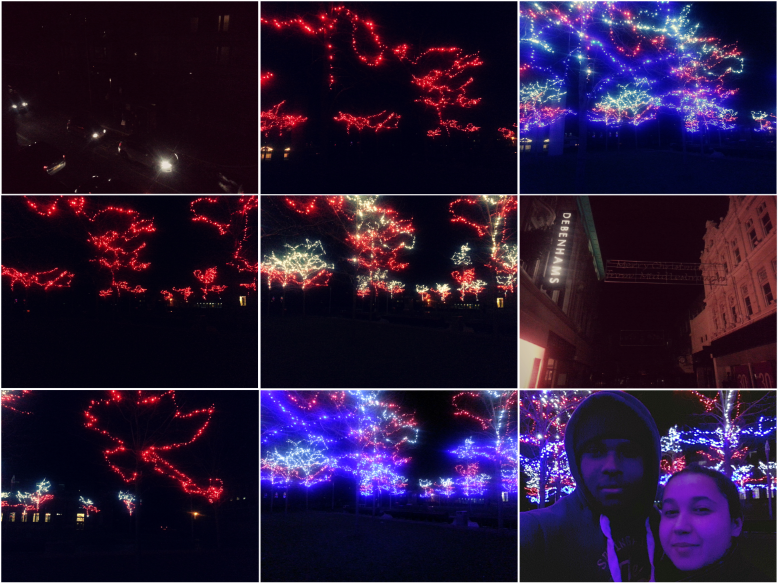 The second from last photo is of the Christmas sign that was no longer lit and the last picture is of me and my friend. I look really weird and bald because I had my hair tied back but oh well. Blackout selfie!